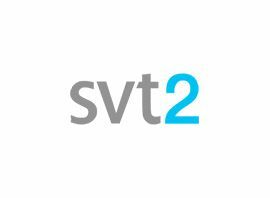 SVT2 is one of Sveriges Televison´s leading channels together with its sister channel SVT1. SVT2 has a clear focus on culture, society, education and facts. Debate persisted throughout the 1960s of launching a second Swedish television channel was discussed. At the launch of TV2, there was a central newsdesk that broadcast news updates under the name TV-nytt in both channels, as well as the main evening newscast at 7:30 in TV1. The channels also had two independent "commenting" news programmes. In TV2 the commenting news programme was called Rapport and was broadcast five nights per week. In 2001 SVT2 was extensively revamped with a new on-air look and new programming schedules. Rapport was moved to SVT1 and the 9 o´clock Aktuellt, which had a smaller audience, was moved to SVT2. Many other popular shows where also moved from SVT2 to SVT1 (such as Expedition: Robinson). These changes made SVT2 more specialist in nature and less watched than before. Programming schedules on SVT2 were changed once again in 2003, in an attempt to increase the channel´s popularity.